Life size English Bulldog made with wire armature and papier mache with plaster and plastic clay. Acrylic paint. 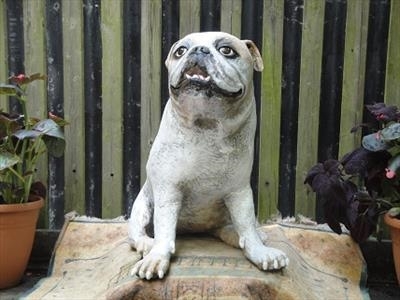 Wilomena is a lifelike and life-sized portrait of a female British Bulldog. 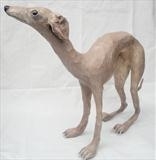 Wire armature and mixed media covering with acrylic paint.